Ecotourism refers to the green or conservation or sustainable. There is a relation between the living beings and the environment, thereby linking tourism development and environment. Tourism helps in developing the environment. Kerala Tourism has taken various steps for making the tourism industry purely environment friendly. Ecotourism can be defined as a nature oriented travel that helps to promote protection and conservation of resources. Some of the objectives of Ecotourism include converting the tourism industry in our state to an ecofriendly mode, strengthening the development of ecotourism initiatives, to make the local involve in the tourism activities thereby providing them with employment and also to make the people aware of the tourism development in Kerala. The government has also constituted a Committee of Ecotourism. There are some eco-tourism programs initiated. One of the major ecotourism, project is the Thenmala which is the first of its kind in India. 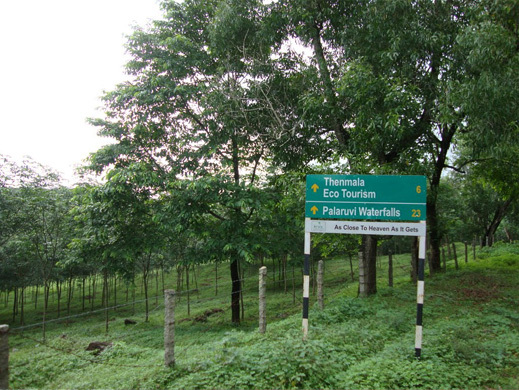 There are two phases for the Thenmala Ecotourism project. The first phase was started in the year 1999 began with boating in the Shendurney Wildlife Sanctuary Reservoir and the Deer Rehabilitation Center. The second phase was started in 2001 with the introduction of ecofriendly tourism activities such as Leisure Zone, Adventure Zone and Culture Zone all within the Shendurney Wildlife Sanctuary and Deer Rehabilitation Center. Measures have been taken for developing ecotourism products in Wildlife Sanctuaries and National Parks. On consultation with the Forest Department, the Department of Tourism selected various consultants for developing ecotourism products. The infrastructure facilities have been set up at Palaruvi. The Forest Department has planned to develop models for community based ecotourism products in ecotourism spots. They have done this through the Eco Development Committees and Vana Samrakshana Samiti. Some of the models are programmed at Athirapally, Vazhachal and Thekkady.